I need a new gearbox for a Jeep Hurricane. I might be interested in picking up a spare or two depending on the price. 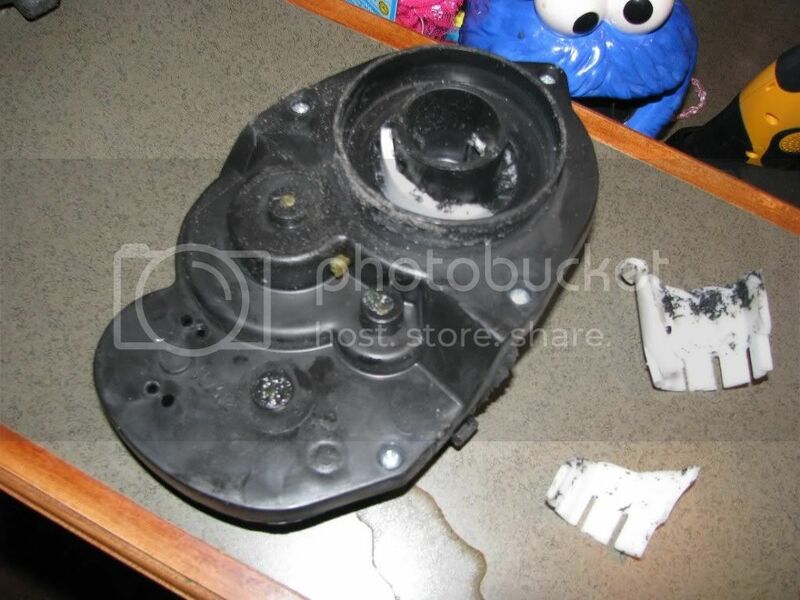 hootienchyna, I checked out your site, but you appear to be out of #7 13T gearboxes. I see that you have the #7R 13T, but I don't want to have to buy new motors. You wouldn't happen to have any, do you? If not, does anybody have any #7 13Ts for sale? 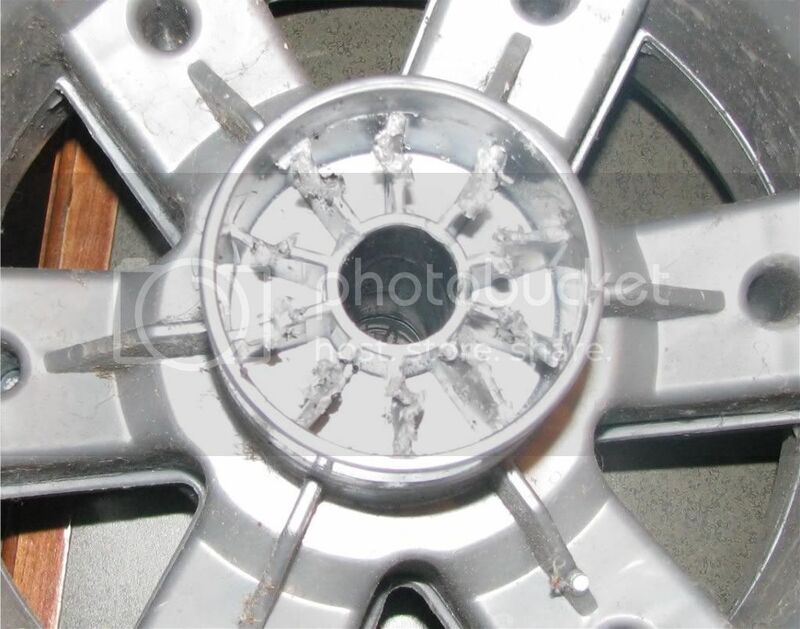 Also, the wheel with the busted gearbox has stripped "gears" -- or whatever you call the plastic teeth on the inside of the wheel. (See below). Do you have to replace the entire wheel, or can you separate the wheel from the tire and replace the stripped wheel? Thanks! The wheel will separate from the rim.